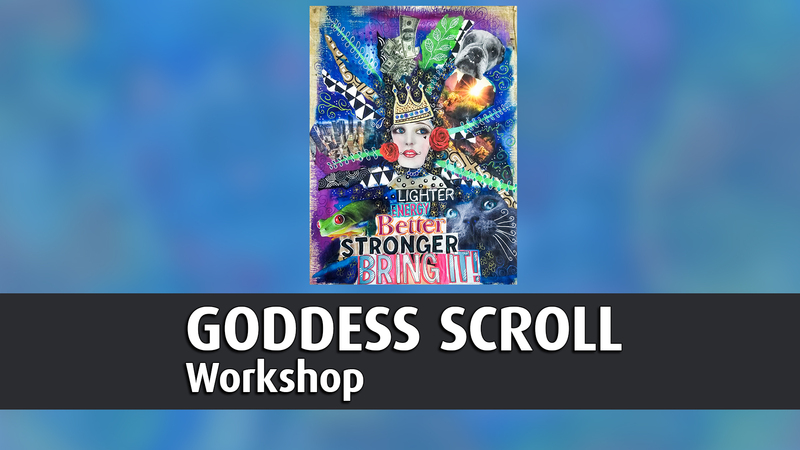 Celebrate your inner goddess by gifting her with her very own art scroll. Imagine a self portrait combined with a vision board, with lots of color on top! We will make our creations on a sheet of real handmade papyrus, then use acrylic paints, collage paper, magazine words, and images plus variety of paint pens to bring her to life. All supplies are included but you're encouraged to bring magazines or images of things that can be used to describe you and what you'd like to welcome more of into your life. I'll show you how to put it all together into a fabulous piece of mixed media art that you can hang in your home to inspire you to work towards your goals and dreams.